I’ll bet that you don’t bet. Successful people don’t gamble. If it they do bet, say at football or golf, their bets are small. And certainly they don’t want to make bets with their retirement security and lifestyle. Well … making a very big bet. 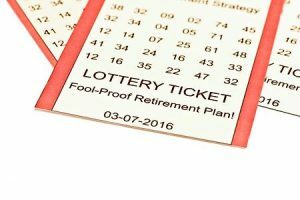 Not maximizing retirement plan contributions, and just putting away something here and there, is like buying lottery tickets to finance your future. A few will pay off, but don’t bet the house. Big changes must come someday to Social Security. It was never intended other than as a safety net to avoid poverty in old age. 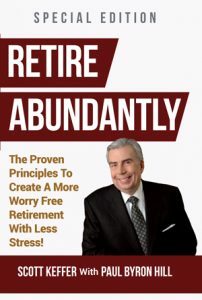 It’s risky for successful people to depend on it, alone, for a comfortable retirement. What changes? Likely changes include reduced cost of living escalators, delays in age for full benefits, and more increases in Medicare premiums for those at higher income levels in retirement. Any changes will be actuarially calculated and technically correct, to be sure, but change is in the hands of politicians whose first concern — to keep their comfortable jobs — is getting votes from many people who didn’t save and who depend mostly on various forms of government aid. The message here is crystal clear. ﻿Don’t gamble with your financial freedom and peace of mind. Take control of your financial future today. Get in the driver’s seat with a smart retirement accumulation strategy that protects your future lifestyle … and not find yourself at a lottery window when it’s too late.